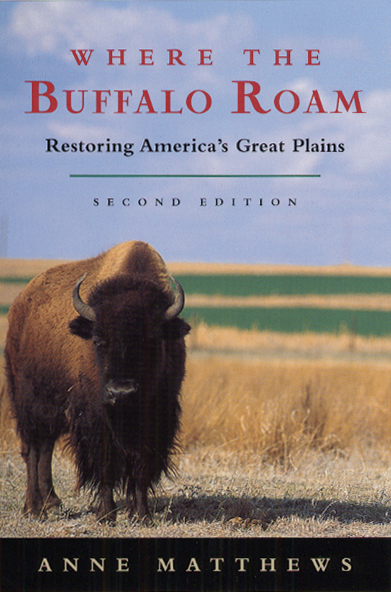 In 1987 Frank and Deborah Popper proposed a bold solution to the decline of America’s Great Plains: create a vast nature preserve by returning 139,000 square miles in ten states to prairie and reintroducing the buffalo that once roamed there. In Where the Buffalo Roam, Anne Matthews follows the Poppers from Montana to Texas as they try to sell their idea called the Buffalo Commons; in the process, she introduces us to the people who love these arid windswept lands. This edition includes a new foreword by environmental historian Donald Worster. Matthews’s new afterword describes how with growing support from Native Americans and private groups like the Nature Conservancy, the Poppers’ dream of a Buffalo Commons is becoming a reality.